These two office blocks, taking their scale, contour and volume from the villas previously occupying that site, stand at the border between the canal zone and the 19th-century neighbourhoods. In 1980 this 'solo of 312 windows' was to play a leading role in discussions on the new wave of ugliness sweeping functionalist architecture and design. 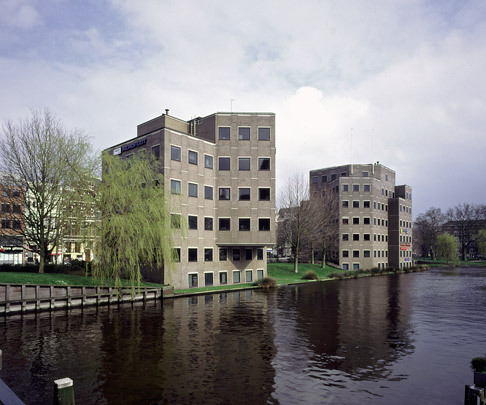 Local columnists described it as 'death's-head architecture', and 'Amsterdam's ugliest'. Yet even here the criticism has gradually subsided over the years and one-time detractors admit to a growing appreciation.